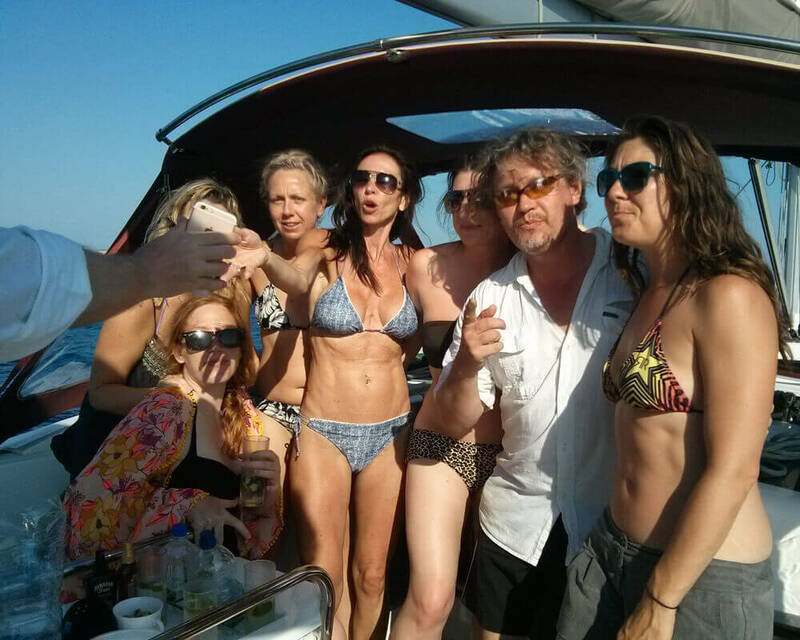 We will be starting our amazing week just 10 mins from Palma De Mallorca airport where you can come and join us anytime after 3 p.m. on the Saturday at Marina La Longga. 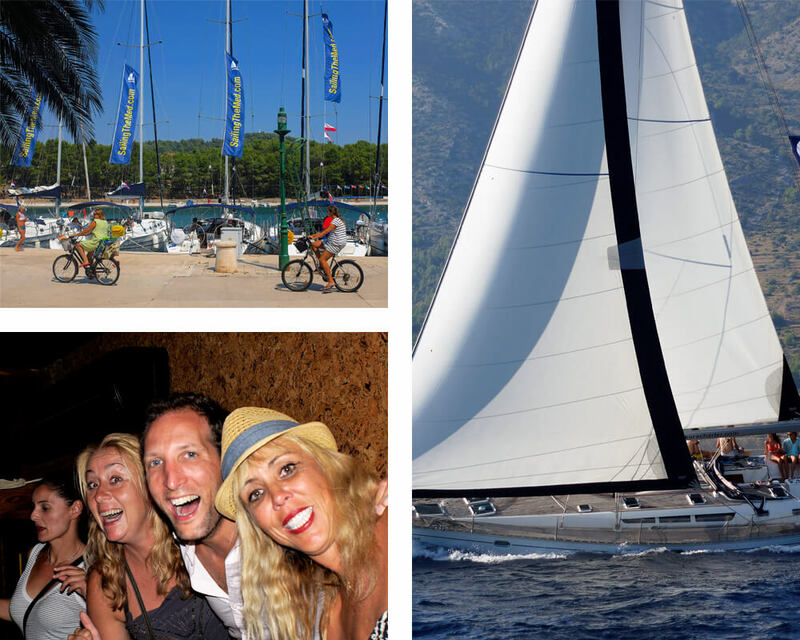 We won’t be departing until Sunday morning however and as you’d expect from Sailing The Med we have organised a great kick off party on the Saturday evening only 3 mins walk from the yachts. Leave your luggage, relax with your crew and make new friends whilst sipping sangria and feasting on tapas in Palma old town. 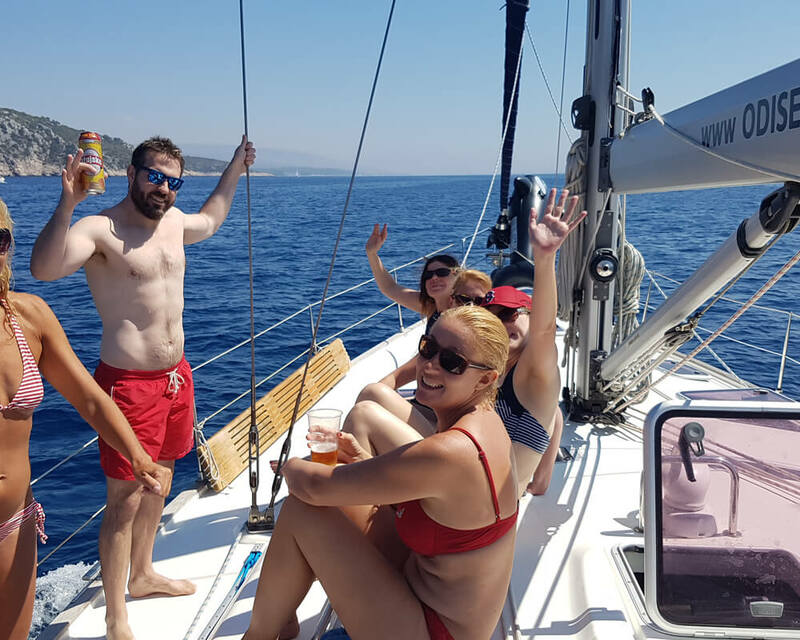 Starting on Sunday morning, we set sail from Palma sailing south along the coast stopping at a host of great beaches and swim spots. Late Sunday afternoon we will arrive to a very special place – Es Trenc . 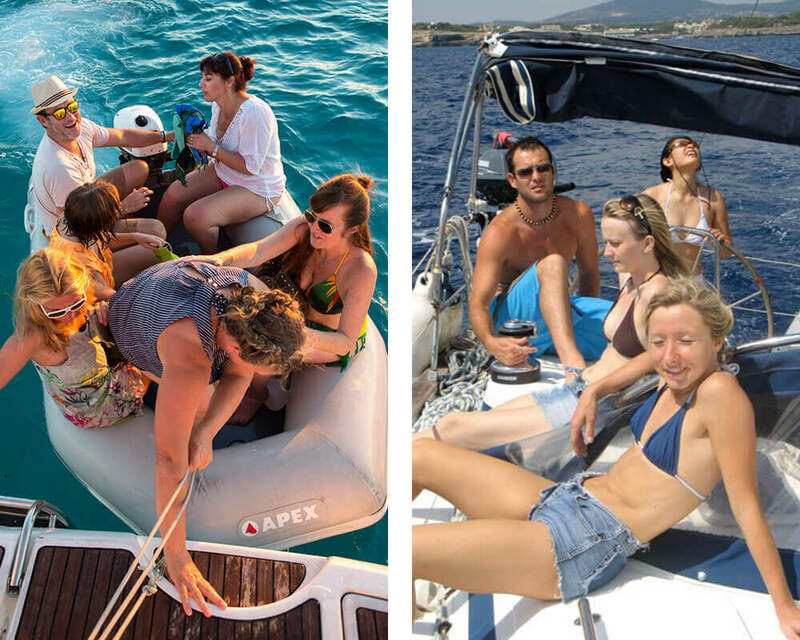 We dinghy ashore to explore and for a Sunday afternoon beach party. Here there is a great beach bar serving margaritas until late. Swim in the shallows, enjoy the music and watching the sunset over Mallorca’s best beach. For the 1st Monday in a long time you will have not a care in the world. Jump overboard for your morning shower. We sail around the southern tip of Mallorca where the water is so clear you can see the sand ripples on the bottom.Passing Cap Salines lighthouse, we continue on up the East Coast of Mallorca where the finest Calas and beaches are. Lunch in a very special little cove (Cala Santanyi) before ending up in the holiday makers capital of Mallorca. Cala D’Or has some fine Alfresco dining, great shopping and a couple of late night surprises. 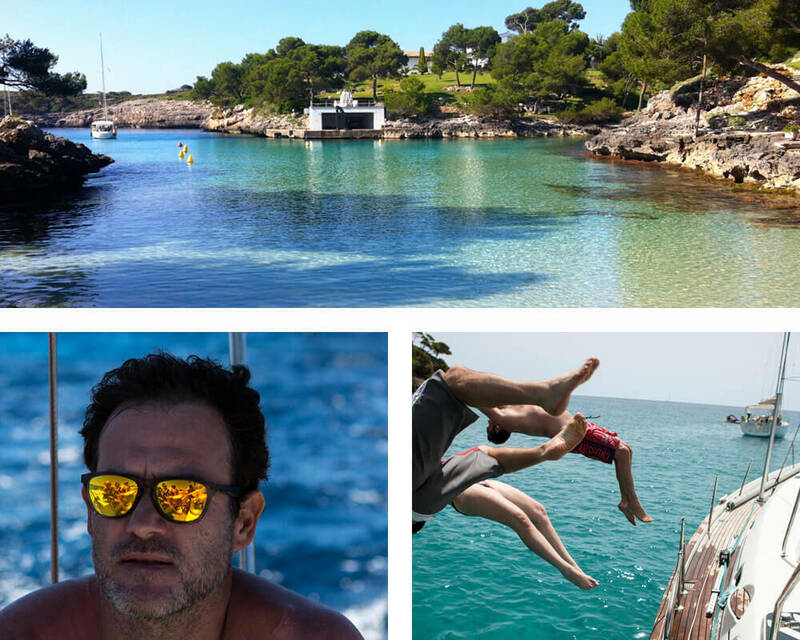 This stretch of Mallorca has got some the greatest gems in the Med. 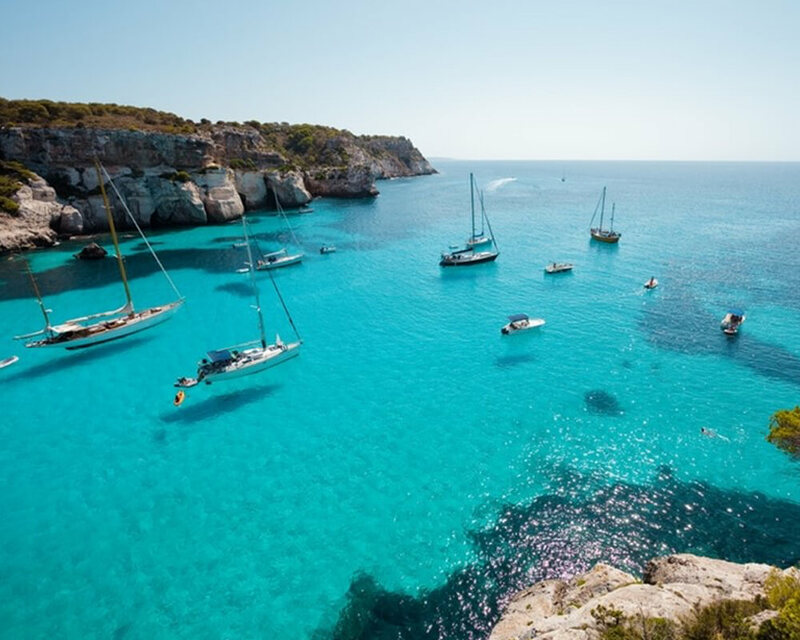 We’ll be taking you to our favourite Calas (cala = cove/bay) during the day and you’ll be swimming, Snorkeling and jumping off cliffs whilst land lubbers look at you with envious eyes. Take the dinghy ashore for an ice cream and explore Mandrago national park. 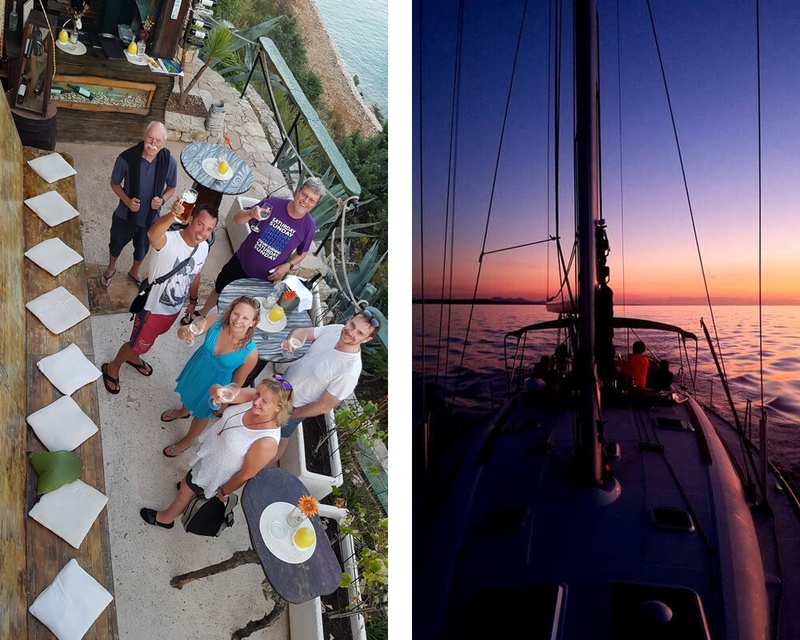 Tuesday night we will arrive in an old favourite and one of the few remaining working fishing villages in the Balearics – Cala Ratjada. Wednesday sees us sailing south and a little visit to perhaps Mallorca’s greatest natural wonder (Arta Caves). One of the finest caves in Europe with stalagmites reaching 35m in parts, it is a must see. We negotiated a discount entry for everyone. 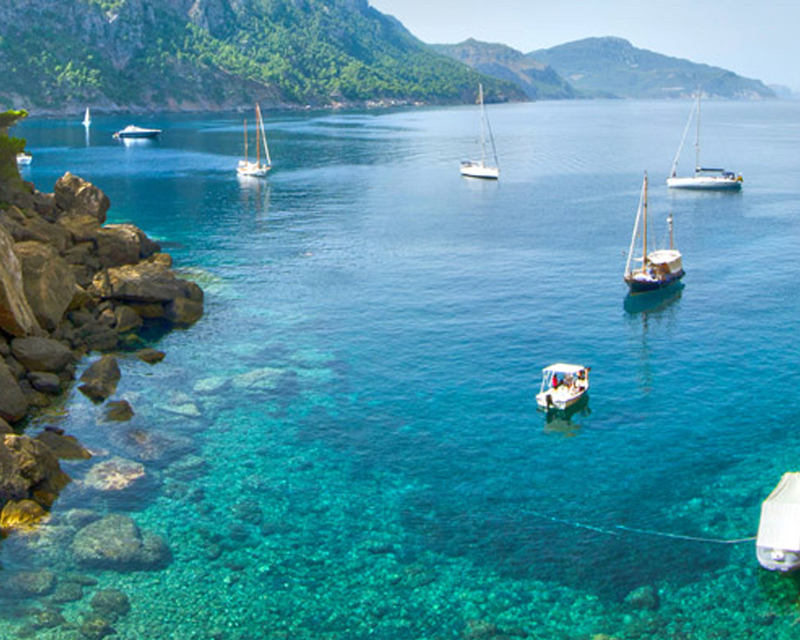 We will visit some other secrets Calas on the East Coast before spending the night at anchor in one of the great natural harbours in the Med – Porto olom. 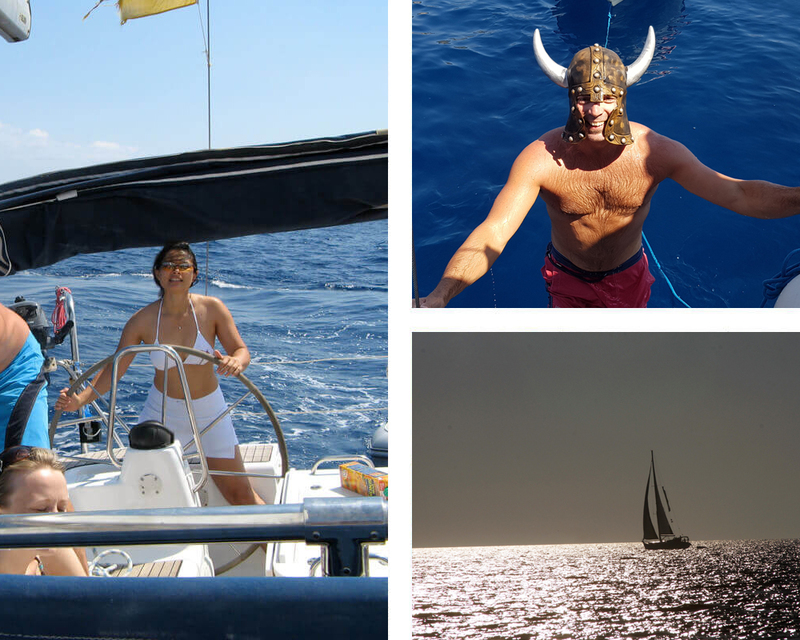 Thursday sees our famous Sailing the Med yacht race! Again some real swimming treats to be discovered including Cala Santanyi. 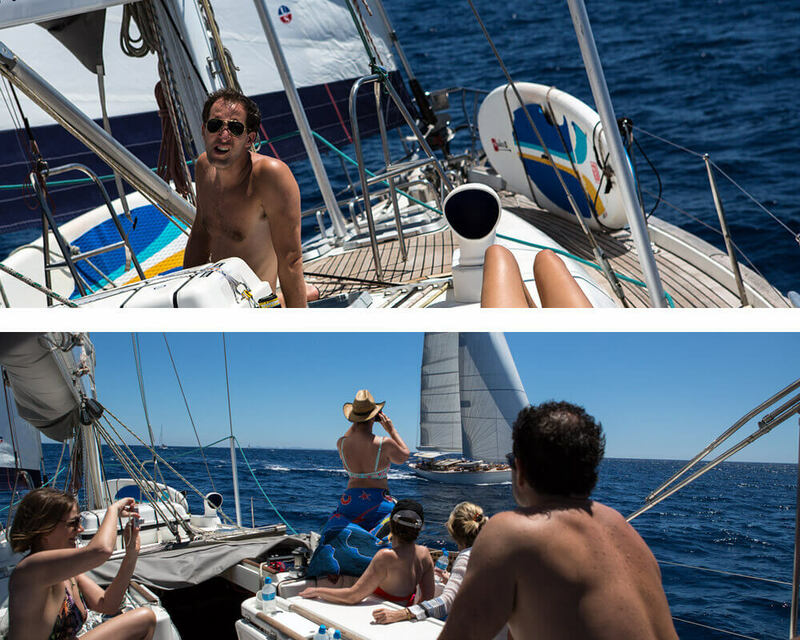 A late afternoon sail around the southern tip of Mallorca before arriving in the famous green waters of San Jordi. A top quality meal is scheduled in a chic beach restaurant and will including prize-giving. 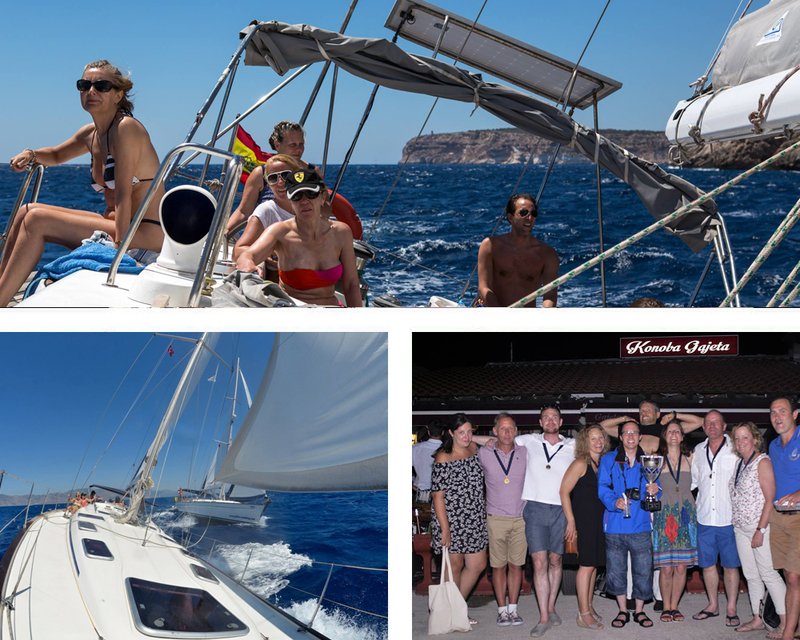 The winning crew will be showered with adulations, medals, champagne and our Trophy….when we recover it from Australia. Our final day. Great sailing conditions along the south coast and a little friendly competition between our skippers. 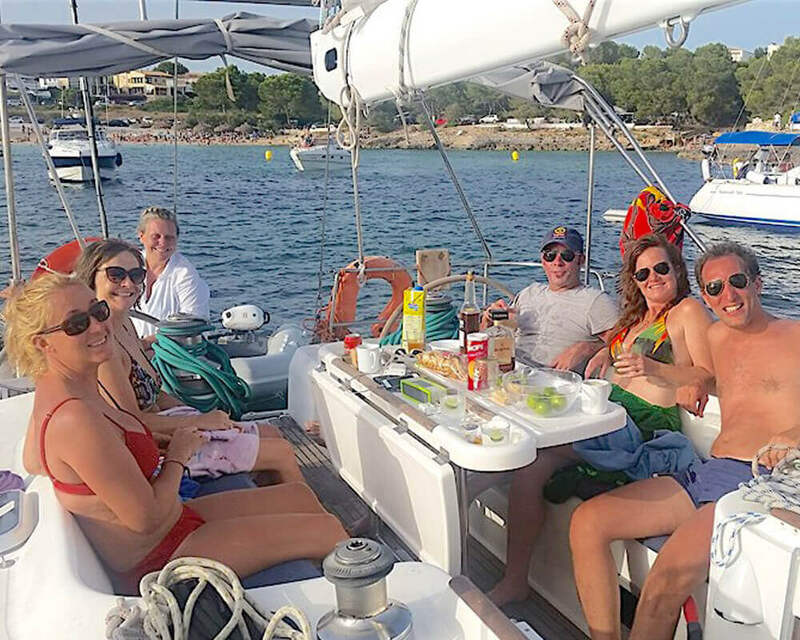 If conditions are right, we will be able to take you to a very special little cove (Cala Pi)Our last night is always famous for a great night to celebrate, finish your remaining food and alcohol. 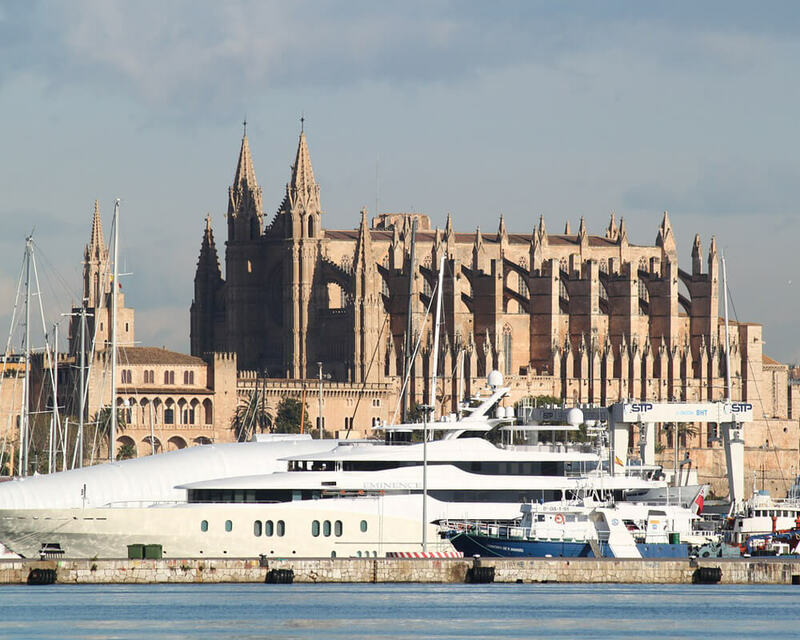 We will be a stone’s throw from some of Palma’s great bars and restaurants. And if you just want to relax and enjoy Palma Cathedral at night, the Old town area of Palma is fantastic just to wander. We will be back in port by 5 p.m.
Our final morning is always tinged with a little sadness after an amazing week together. We say goodbye and depart the yachts at 9 a.m. BUT many of us will stay on for the weekend.